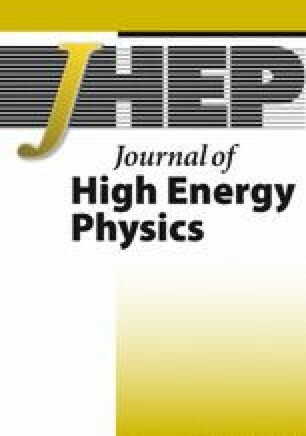 We present a calculation of heavy-flavor production in hadronic collisions in association with one jet matched to parton shower Monte Carlo programs at next-to-leading order in perturbative QCD. Top-quark decays are included and spin correlations in the decay products are taken into account. The calculation builds on existing results for the radiative corrections to heavy-quark plus one jet production and uses the POWHEG BOX for the interface to the parton shower programs PYTHIA or HERWIG. A broad phenomenological study for the Large Hadron Collider and the Tevatron is presented. In particular we study — as one important sample application — the impact of the parton shower on the top-quark charge asymmetry. T. Sjöstrand, High-energy physics event generation with PYTHIA 5.7 and JETSET 7.4, Comput. Phys. Commun. 82 (1994) 74 DOI:dx.doi.org [INSPIRE]. J.H. Kühn and G. Rodrigo, Charge asymmetries of top quarks at hadron colliders revisited, arXiv:1109.6830 [INSPIRE]. S. Alioli et al., A theoretical study of new observables to measure the top quark mass at hadroncolliders, in Lepton Photon 2011, August 22-27, Tata Institute of Fundamental Research, Mumbai, India (2011),http://www.ino.tifr.res.in/MaKaC/contributionDisplay.py?contribId=24&confId=79. D0 collaboration, V.M. Abazov et al., Measurement of spin correlation in \( t\overline t \) production using dilepton final states, Phys. Lett. B 702 (2011) 16 DOI:dx.doi.org [arXiv:1103.1871] [INSPIRE]. D0 collaboration, V.M. Abazov et al., Evidence for spin correlation in \( t\overline t \) production, submitted to Phys. Rev. Lett. (2011), arXiv:1110.4194 [INSPIRE].